One Earth, One Journey, an Earth Day Concert will take place at the SMX Convention Center, Mall of Asia this Friday, April 16. Kapuso singers (left, from top) Mark Bautista, Rachel Ann Go, Jay-R and Kyla are some of the performers who will lend their talent for the cause. 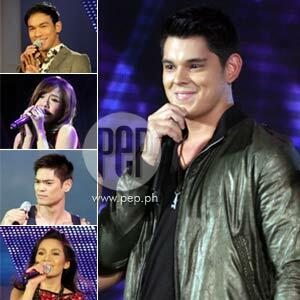 Richard Gutierrez (main photo) will host the event. Richard Gutierrez will play an active role in GMA Network’s one-night commemoration of the 40th Earth Day celebration – One Earth,One Journey, An Earth Day Concert. As the host of this event, the avid supporter of Green Peace Philippines will give a clear picture of the world’s ecology at present, and the direction it should take in the future. The two-hour concert will merge music with visual art to underscore the essence of the annual Earth Day. Set to perform are some of the country’s top recording artists—Kyla, Jay-R, Mark Bautista, Rachelle Ann Go, Cooky Chua, Gloc9, Julianne, Noel Cabangon, Juie Ann San Jose, and Buboy Villar. The top bands Pupil, Freestyle, Hale, Spongecola, Callalily,Urbandub, Nyko Maca, and Playground will rock the stage. The Kapuso stars will also demonstrate their Earth-saving practices. Catch One Earth, One Journey, An Earth Day Concert on April 16, 2010 at SMX Convention Center, Mall of Asia Complex, Pasay City. With telecast on April 18, 2010, Sunday on GMA’s S.N.B.O.